Disney’s Port Orleans French Quarter Resort is a perfect spot to enjoys the colorful excitement of Mardi Gras all year long. 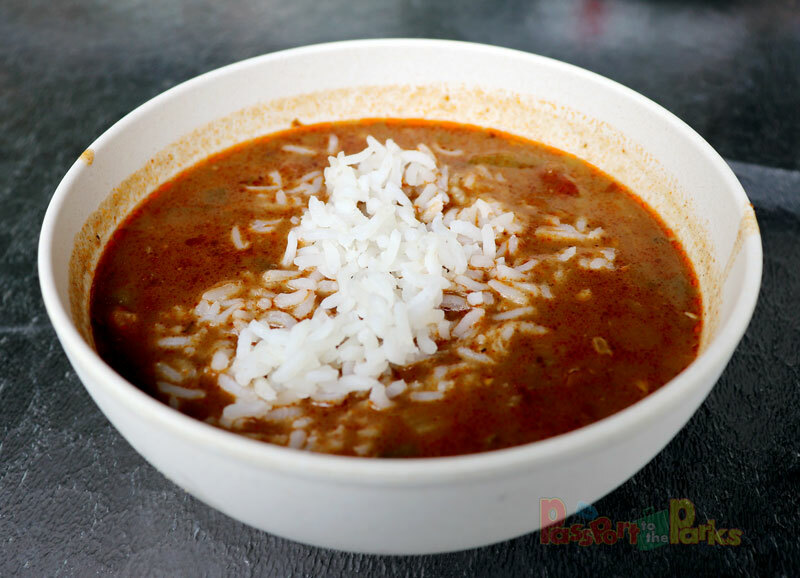 New Orleans is not only known for their amazing party atmosphere, but also their amazing food. 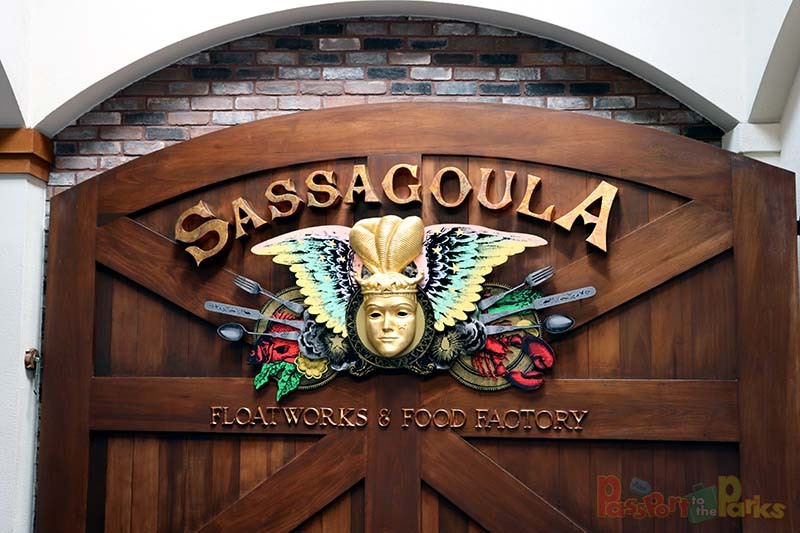 The Sassagoula Floatworks and Food Factory is the best place to discover all the rich heritage of good old Louisiana cooking. I recently made a trip to get a little spicy and a little sweet taste of this exciting restaurant. 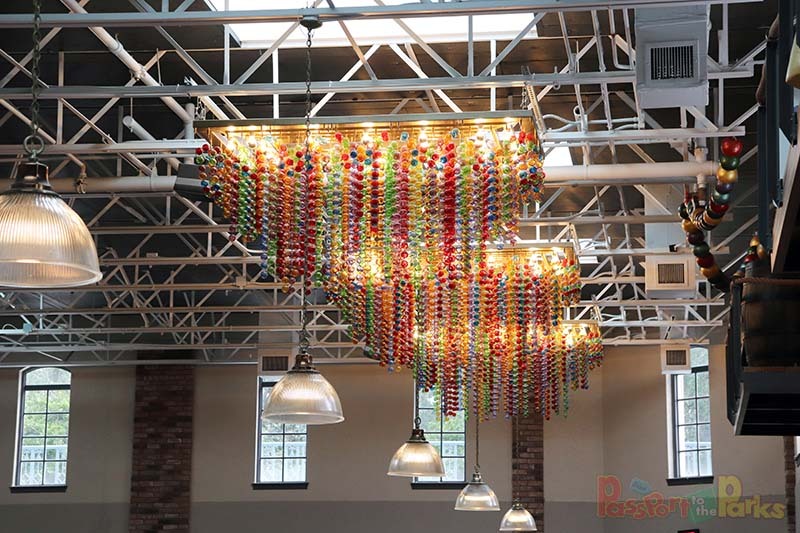 Right away you can feel the colorful ambiance come through as you enter the dinning area. 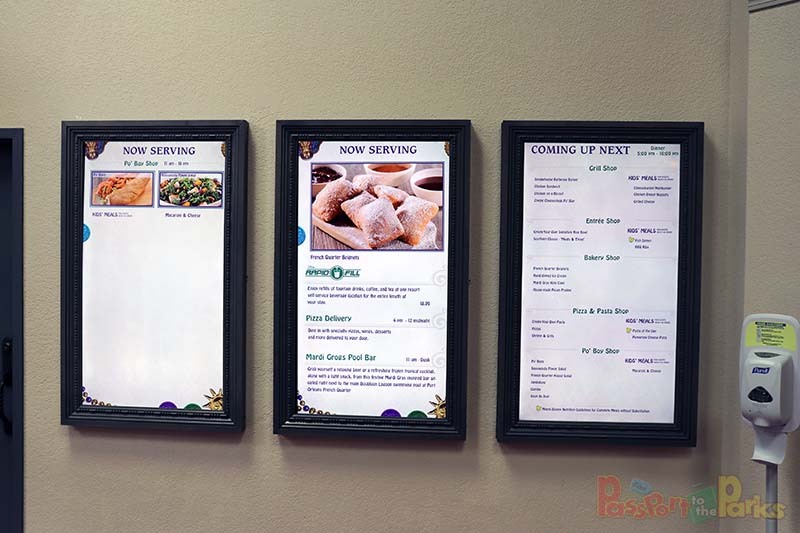 Easy to read and understand digital menus are available as soon as you enter. 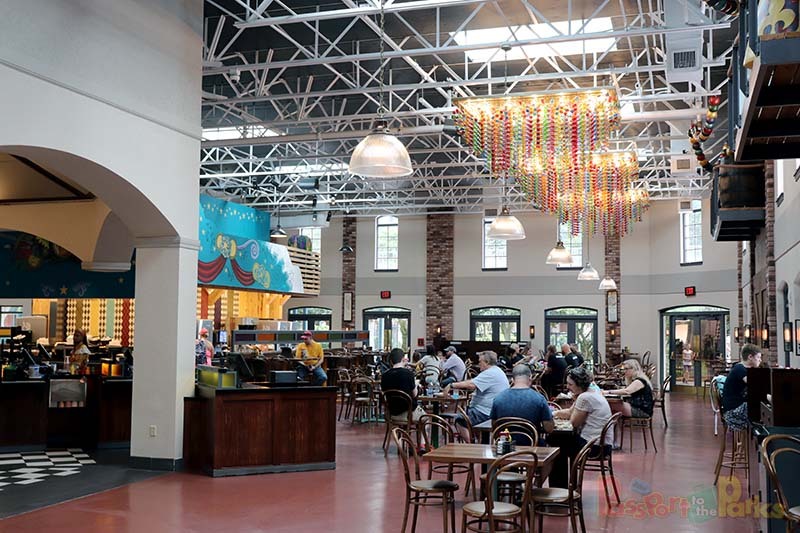 The dinning area was recently renovated, no longer baring the giant heads hanging from the rafters. Now the theme is bright, fun and full of Mardi Gras beads. I started with a bowl of chicken and sausage gumbo. It’s a perfect lunch service that is very filling, considering it comes with white rice. Filled with tender chicken, flavorful sausage, peppers, onions and okra, this dish was a spicy treat that warmed my stomach right up! 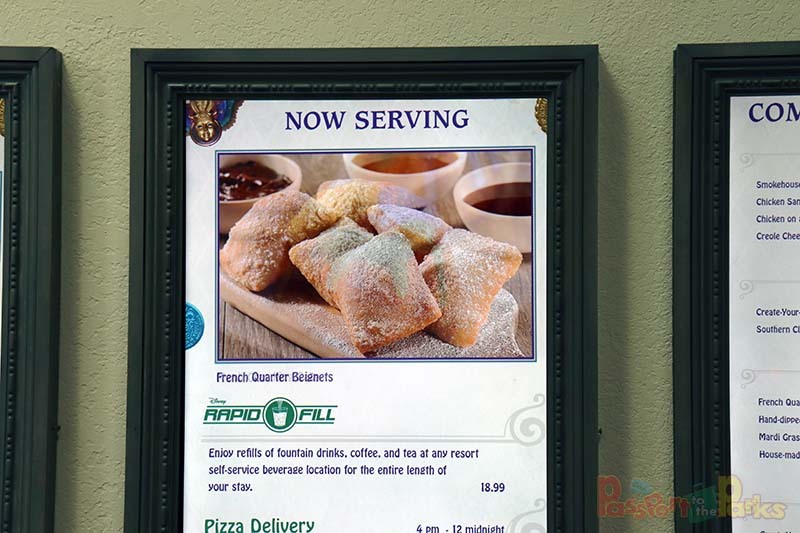 The French Quarter Beignets was the reason I made the trip to Port Orleans for lunch. I had never had a beignet and was excited to try them. Basically they are like a fried doughnut covered in powder sugar. The outside was crispy right out of the fryer, while the inside was hot, soft and melted in my mouth. 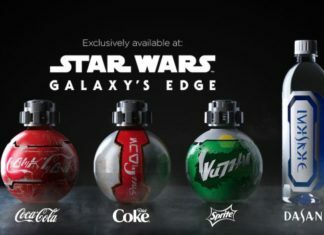 The sweet coating of sugar made each bite deliciously sinful. 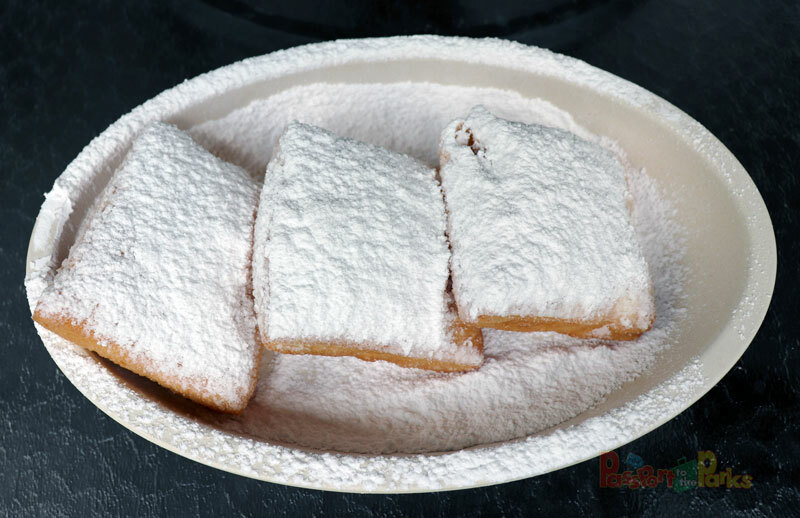 I really did enjoy my first experience eating these wonderful French Quarter treats. 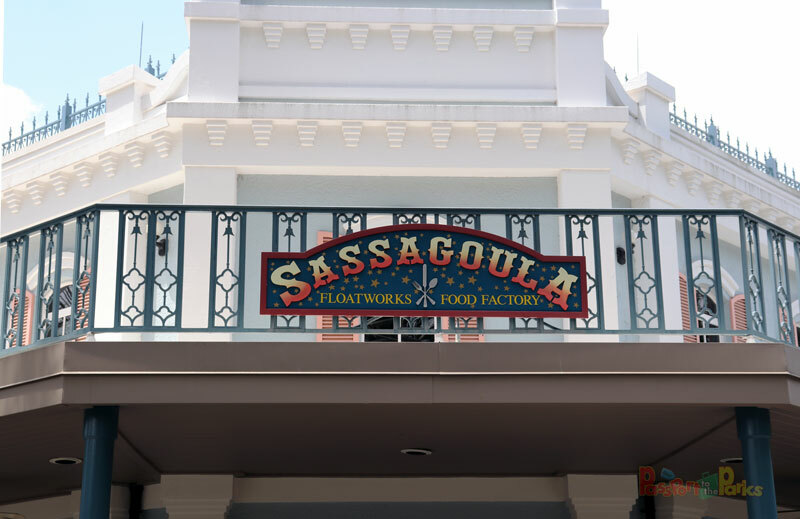 If you enjoyed this review please follow PASSPORT TO THE PARKS for more fun!